Advanced gas phase manufacturing to produce safe carbon nanotube based materials. 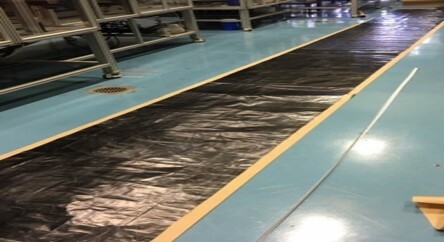 Nonwoven “Tortech” carbon nanotube mats (Tortech Mats) are commercially available meeting customers needs. Thicknesses, size and properties are tailored to match end use application requirements. The technology is based on innovative and patented technology discovered at the University of Cambridge Department of Materials Science in the laboratory of Prof Alan Windle. 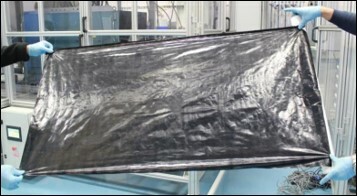 The high temperature gas phase process produces very long carbon nanotubes, which coalesce to form a continuous aerogel. The aerogel is collected to form the continuous mat. 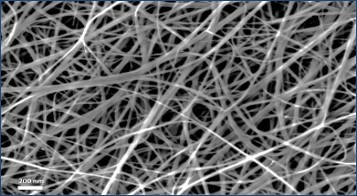 The material is intrinsically safe as the carbon nanotubes, from the point of production, are tightly bound into rope like nano-structures containing 10 to 100 tubes. Monitoring has confirmed that single carbon nanotubes are not released during manufacture or processing. An independent assessment of the manufacturing process has confirmed its potential to be carbon neutral or, if optimised, to provide carbon capture. The assessment concluded that: ‘the proposed process when combined with power generation from the hydrogen rich off gas, has the potential to be carbon neutral. The process provides both a novel means of carbon capture for power generation and a high value product. This compares with carbon fibre manufacturing processes which generate ~25te of CO2 per 1te of carbon fibre produced’.